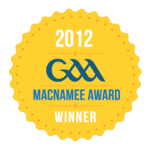 The Killoe GAA website has won the McNamee Award for “Best Website” for 2012. 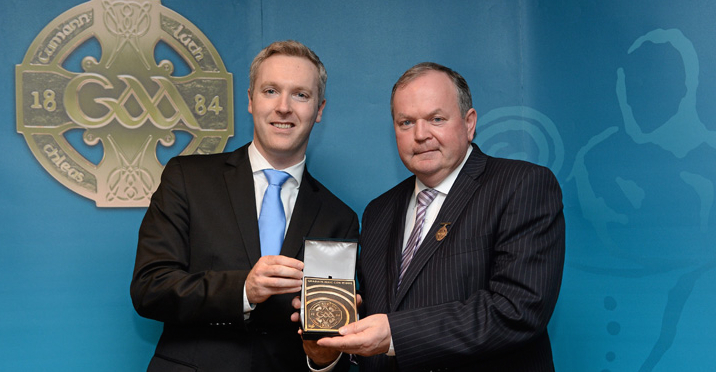 The McNamee Awards recognise excellence in various areas of GAA media & communication each year. 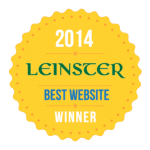 The website is the first Longford winners since 1990, and the first to win in the ‘Best Website’ category. Paul Devaney was asked to develop the club website in January 2012. His aim was to assemble a team to produce a user-friendly, colourful, informative and regularly updated portal for all our members (Senior, Underage & Ladies), for our community and for our diaspora. It allowed an opportunity to present ourselves to the world as an active, successful and modern sports club that can also boast a rich heritage and history within a vibrant rural community in North Longford. The work that has gone into the development of the site as well as ongoing maintenance is entirely voluntary. This project became a labour of love and like so many other aspects of the GAA, it was brought about through the voluntary efforts of many, including in-house graphics and video production, learning web coding from scratch, community-wide compilation of photographs and the spectacular effort of trawling through archives for weeks and weeks to compile the history of each club along with statistics and match reports including a unique record of every Senior Championship game played by Killoe since its foundation in 1889. As in many other parishes, villages, towns and communities across the country, Killoe people have a very proud sense of place and community. This is something that people carry with them, no matter where they happen to be based across the world. And as with many other places, the GAA sits at the heart of our community. The team set out to develop something that could capture and add to that sense of pride and place and to weave into the final design a unique taste of our parish. The project also included modernising the club crest. Killoe derives its name from the Irish Cill Eo, Church of the Yew Tree and so the modernised crest includes the yew tree in abstract form in the centre of the design, set in front of the cross, which reflects the Christian heritage of our community. 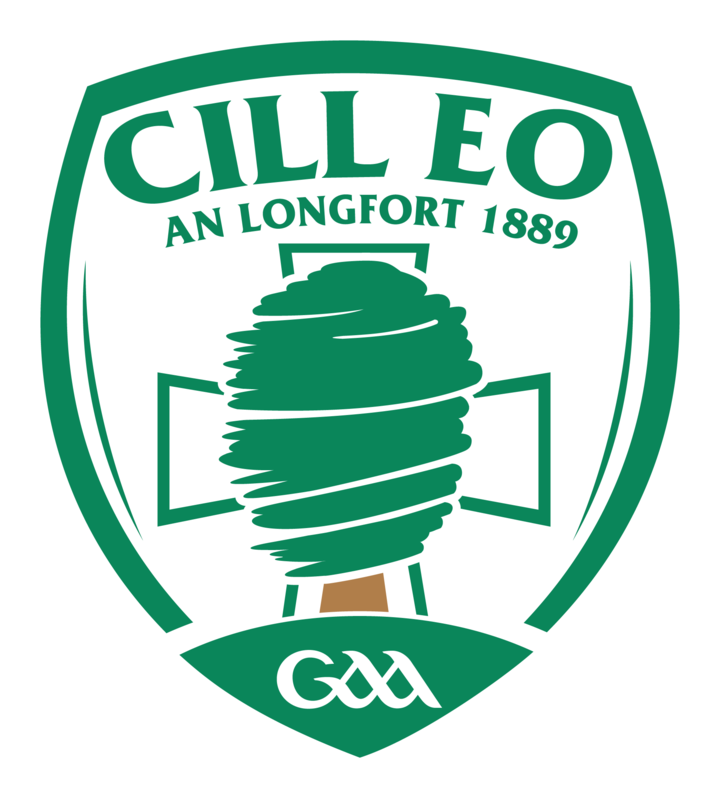 The modernised crest made its debut on all new Killoe Young Emmets jerseys in August 2012. Little did we think as the site was being developed, that our season would blossom into the most successful in the 124 years of our club. In 2012 Killoe clubs managed to claim 18 different Longford football titles, including the Senior Championship and League, Ladies Championship and League and Minor and U-21 Championships along with a host of underage successes, including an U14 All-Ireland Féile title. We do not yet have a written club history, so most of the records and histories within the site were developed from scratch from a range of sources including local and national archives. Through the work of a core team we now have a complete body of work that can now be built upon. Updated Crest – designed and developed to coincide with the launch of the site. New graphics and designs that are unique to this site, including signature branding. A history of all sections of the club – Senior, Youth, Ladies and Scór. Detailed records of rolls of honour, award winners and club officers down the years. One-of-a-kind record of our Senior team results in championship from 1889 onwards. Unique footage from the 1960 Longford County Final, discovered last year. Downloads section featuring match reports and newly researched Longford records. Profile of our community, townlands and some interesting facts on people and events. Galleries with a wide range of team photographs dating from 1912 to the present day. Songs and poems connected to the club and teams. Videos – including specially produced compilation videos to celebrate recent success. Latest news, fixtures and results including automatic facebook & twitter updates. Information on our GAA facilities at Emmet Park & Cullyfad. The final design brings both club and community alive through photography, recordings, song and the written word. Paul also developed a video to highlight features of the parish for the year of The Gathering. To celebrate the bond for people who are living away from home, he also included a ‘We Are Killoe’ image feature, which includes photographs from Killoe people who are now based across Ireland and the world. This national award is a great honour for the web team and the club. In fact of the 19 McNamee awards presented on the night for 2011 & 2012, Killoe was the only club in the country to receive an award. The award itself is set in bronze and designed by renowned sculptor Jarlath Daly. The event included dinner at Croke Park followed by a preview video including all winners and a speech by Liam O’Neill in which he spoke about the importance of communications and the media in the development and promotion of our Gaelic Games. The site would not have been successful without voluntary contributions from dedicated individuals within our Senior, Minor & Ladies clubs, so we would like to take this opportunity to thank the many for their cooperation as well as those who contributed photographs, records, narratives etc. during the development of our website. The club histories were written by John Devaney and Colm Devaney, and most of the statistics and records on the website were researched by Colm Devaney using historic information from the Longford Leader, National archives and local input. We would also like to thank Ed Benn in Germany for his work on the unique website design – which is specific to our club.